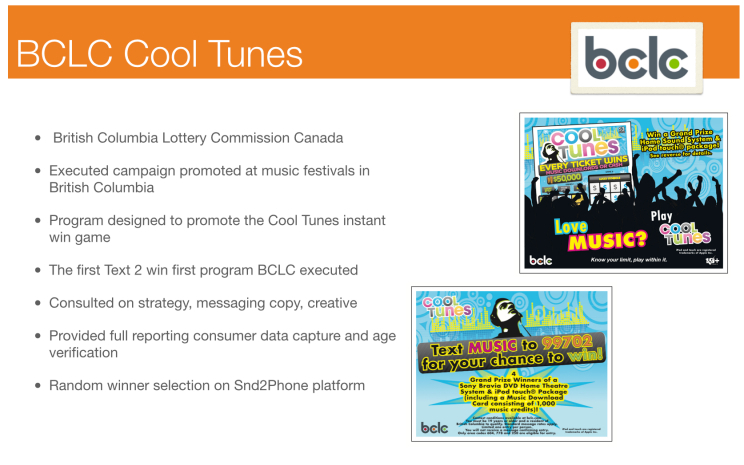 The British Columbia Lottery Commission asked us for a campaign to engage customers at music festivals. Program was designed as a text to win instant promotion whereby consumers could win thousands of credits on iTunes including additional prize packages. AplolloBravo consulted on creative, strategy, messaging copy, campaign rules and random winner selection.